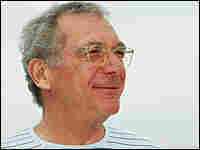 Sydney Pollack, Director and Actor, Dies at 73 Film director and actor Sydney Pollack died Monday. He was 73. Pollack is known for his many films including Out of Africa, which won an Academy Award for Best Picture. Film director and actor Sydney Pollack died Monday. He was 73. Pollack is known for his many films including Out of Africa, which won an Academy Award for Best Picture. His early films include The Swimmer and They Shoot Horses, Don't They? His last film was Sketches of Frank Gehry. Pollack also had a role in the recent Oscar-nominated film Michael Clayton. Pollack, originally from the Midwest, moved to New York pursuing a career in film. He was involved with the Actors Studio, played several roles on Broadway and directed early television shows before moving into feature films. Fresh Air remembers him with an interview from December 1990. Film Director Sydney Pollack died Monday of cancer at his home in Los Angeles. He was 73. Pollack was best known for directing The Way We Were, Out of Africa, Tootsie and Three Days of the Condor, among many other movies. But he began his career as an actor. Then, in 1961, he was on the set of The Young Savages as a dialogue coach for three young actors, and his work attracted the attention of the film's veteran star, Burt Lancaster. In a 1990 interview with WHYY's Fresh Air, Pollack remembered being called into Lancaster's office. "He said, 'You know, you ought to be a director. You really should. What do you want to be told what to do when you ought to be telling people what to do?' That was the way he put it. And he picked up the phone and he called Lew Wasserman, and said, 'Lew, I got a kid here, I don't know if he can direct, but he's talented and I want you to talk to him.' I'm quoting verbatim how. He said 'In any case, he can't be any worse than those bums you got workin' for you now.' "
Wasserman, the head of Universal Pictures, put Pollack under the wing of a producer, and before long Pollack was directing TV. He made his first feature film, The Slender Thread, in 1965. Film historian Patricia Erens says he followed it with many more that ran the gamut of genres. "To me, he is the last of the great studio directors that could do just about anything, and he did. He made Westerns early on, action thrillers, melodramas, love stories," she said, adding that Pollack did more than repeat the conventional Hollywood forms — he gave them heft by giving them a twist. Michael Henry Wilson, a French-born filmmaker and friend of Pollack's, planned to shoot a documentary about Pollack before the director fell ill. Wilson says that Pollack returned to several themes over and over throughout his career. "There's a line that you hear in practically all of Sydney's films — 'I'm going home' — and so many of his films are about finding yourself, finding your roots, finding your home. The journey is really what a lot of his films are about," Wilson says. Howie Movshovitz reports from Colorado Public Radio.